Orange Pekoe is a grade of black tea that a marketing department went wild with. 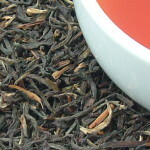 Tea grading based on Orange Pekoe isn’t mandatory and is primarily for industry buyers. Grading based on Orange Pekoe generally follows British Colonial influence. Orange Pekoe says very little about the taste of your tea. #1. Orange Pekoe is a grade of black tea that a marketing department went wild with. 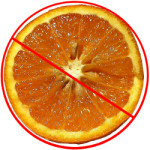 Orange Pekoe is really a grade of black tea, not a flavor. Major tea bag producers did a disservice to the North American tea drinking public when it decided to market tea with the name Orange Pekoe. At some point they decided, like so many other companies, that marketing should win out over accuracy. At least one of the major brands refreshed their packaging a few years ago so that the word Ceylon (this is now the country of Sri Lanka) started to appear in the same size font in front of Orange Pekoe. There is no orange flavoring in the tea. How orange came to be attached to the grading system has several theories, ranging from a marketing ploy to just highlighting the variety of colors residing within the dried leaves. The marketing ploy is an interesting story theorizing that the Dutch East India Company added Orange to the front of the Pekoe, which is a mis-translation of the Chinese word for Bai Hao (Morrison, 1819), to honor the ruling Dutch family, Orange-Nassau. #3. Tea grading based on Orange Pekoe isn’t mandatory and is primarily for industry buyers. Grading around “Orange Pekoe” is not a mandatory grading system. Instead it is an agreed upon set of definitions in the industry around the appearance and size of dried black tea leaves. The system is followed by those in industry and anyone who abuses it are quickly corrected by their peers. The system developed as a way for the Dutch and British to be able to communicate to the growers what they wanted in countries where they did not speak the language. It allows further description to their buyers what, specifically, they wanted. The system helps to distinguish between the different sizes of whole black tea leaves. Leaf sizes are determined by sifting the tea through fine mesh strainers at the end of the production run. Ultimately, the grading system has nothing to do with quality or taste. #4. Grading based on Orange Pekoe generally follows British Colonial influence. This system is typically used on black tea from India, Sri Lanka (Ceylon), Kenya, and some South American countries. While the grading system outlined above is for whole leaf there is a grading system for tea that is crushed for tea bags. China did not use this system until more recently, in response to market demand, and furthermore it is not used by all tea manufacturers in China either. #5. Orange Pekoe says very little about the taste of your tea. Large full leaf tea with silver and gold leaf tips. Experiment with the different grades of black tea and with the country your orange pekoe tea comes from and you may be surprised to learn how diverse orange pekoe flavors can be. The OP is going to be a more robust blend with a malty flavor, while the SFTGFOP is going to be much lighter in flavor because of all the leaf buds. Even within the same category the tea is going to taste different because it is an agricultural product and should vary in taste year to year just like the rainfalls and temperature that create the terroir of the tea. I hope you enjoy the exploration! Morrison, R. R. (1819). A Dictionary of the Chinese Language, Vol. 1, part 2. Macao: United East India Company. This entry was posted in Tea History, Types of Tea and tagged Black Tea, India, Sri Lanka, Tea. Bookmark the permalink.